All collections include high-resolution color corrected digital negatives from your wedding day. Your collection can be customized to add albums, creative wall art, an engagement session and additional photographer(s). Because no two weddings are alike, please contact me for current pricing and options. 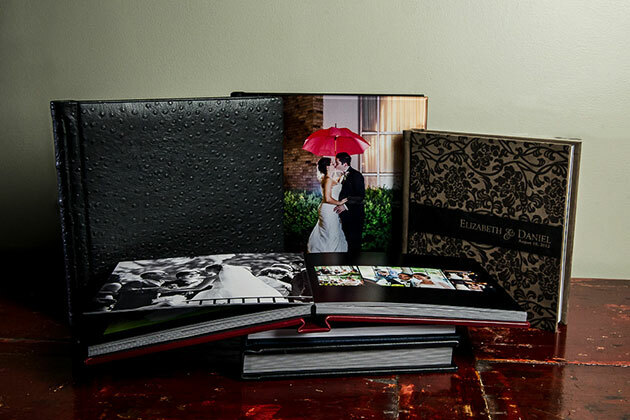 Every couple should have a wedding album to showcase and archive their wedding memories. My fine art albums are elegant and timeless. I am simply in love with these books and offer only the finest custom albums on the market. They are hand bound and printed on archival paper with thick pages that will stand the test of time. I offer the largest selection of albums anywhere.